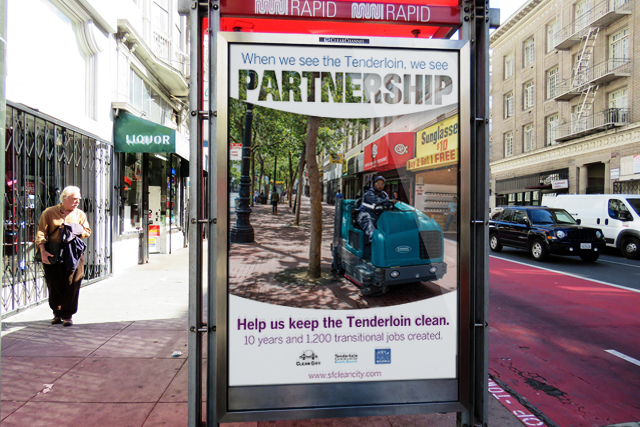 S.F. 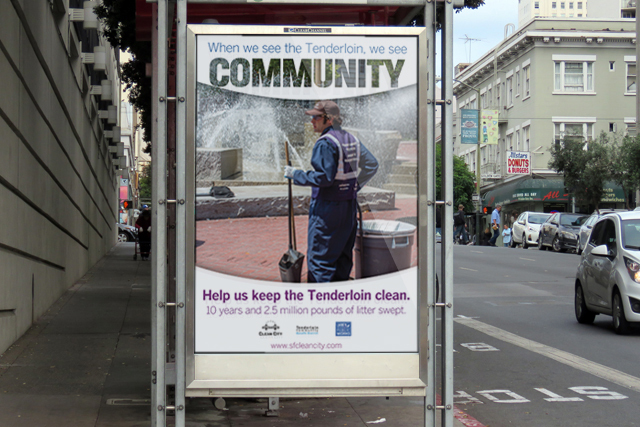 Clean City Coalition asked YMM to help them create a neighborhood outreach and civic engagement campaign promoting property owner responsibility and community pride to run in San Francisco’s Tenderloin neighborhood. 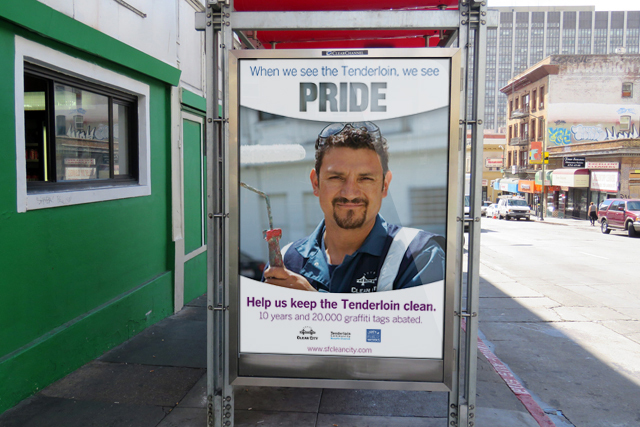 The objectives of the campaign, running on bus shelters and street banners, are to raise awareness and invoke pride in the Tenderloin, bring notice to the work of SF Clean City, make people want to participate in cleaning and greening, encourage people to admire the beauty of the Tenderloin, and reveal the beauty of the neighborhood.